Dine Downtown is returning for a 7th Year from June 19-28. Three course meals start at $20/person at dozens of Downtown San Jose Restaurants. For the first time, several eateries (including Curry Pundits, The Fountain, Take One Pizza, and Tengu Sushi) will have lunch specials. The BIG Lunch is a new program starting 11:30am on June 24th where you can grab lunch from a nearby restaurant, head to Paseo de San Antonio, and have a communal lunch break with fellow Downtowners. There will be music, drawings for prizes, and many restaurants will have to-go lunch specials. San Jose and the NHL have agreed to extend their contract, meaning the Sharks are guaranteed to continue playing at SAP until at least 2025. The Barracuda will also start playing in SAP this Ocrober (Sharks affiliate from the American Hockey League). A city advisory committee recommended SJSU manage the former Rep Theater. SJSU is asking for an initial five-year contract and if all goes through the Theater could be back in operation by the Fall. Team San Jose is getting $5.7 Million to rehabilitate the Convention Center, Center for Performing Arts, California Theatre, City National Civic, and Montgomery Theatre. The Children's Discovery Museum is getting $350,000 for a new sculptural fence to allow for more exhibit space. Creative Marketing Concepts (a SF firm) opened a South Bay location at 15 N. Market St. with an on-site studio. Tues from 6:30-8pm starting Jun 29 - Informal music, poetry, and spoken word nights. Some nights will have food trucks. Thur from 6:30-8pm starting June 25 - Signature performance series with professional musicians. 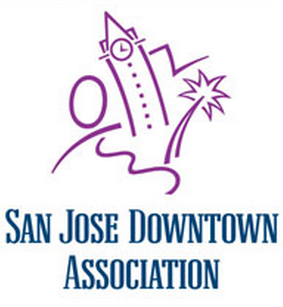 The City of San Jose will also dedicate an events coordinator to St. James Park for year-round programs.